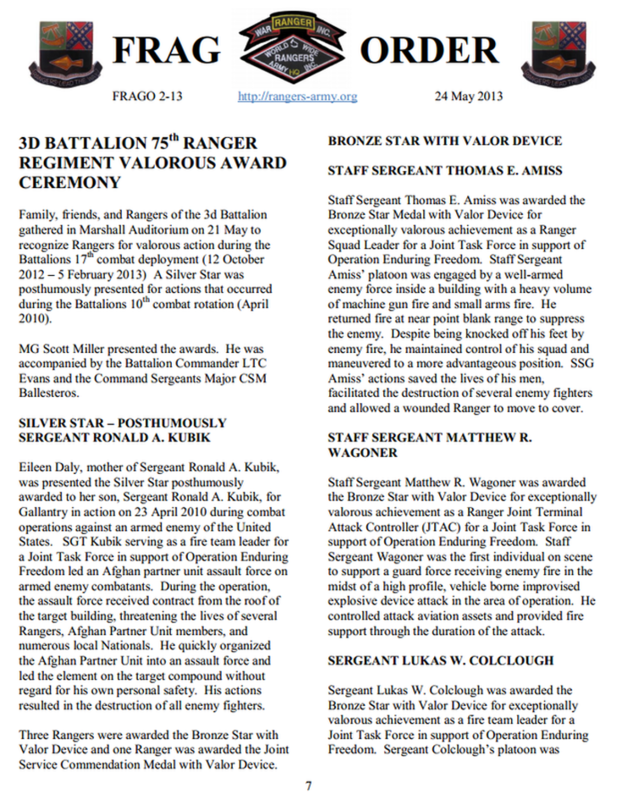 Sergeant Ronald A. Kubik, United States Army, was awarded the Silver Star (Posthumously) for conspicuous gallantry and intrepidity in connection with military operations against the enemy while serving with the 3d Battalion, 75th Ranger Regiment, in action in Logar Province, Afghanistan, on 23 April 2010, in support of Operation ENDURING FREEDOM. 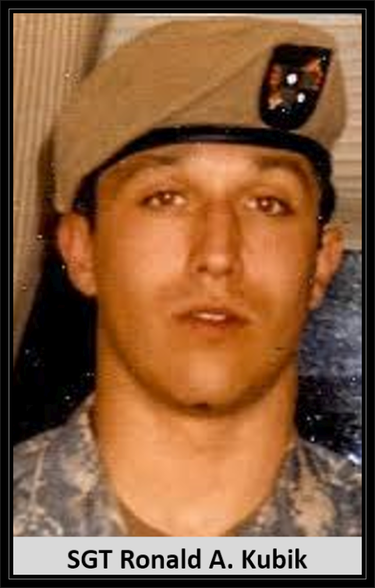 Hometown: Manchester, New Jersey, U.S.
Died: April 23, 2010 in Operation Enduring Freedom. Unit: 3rd Battalion, 75th Ranger Regiment, Fort Benning, Ga.
Sgt. 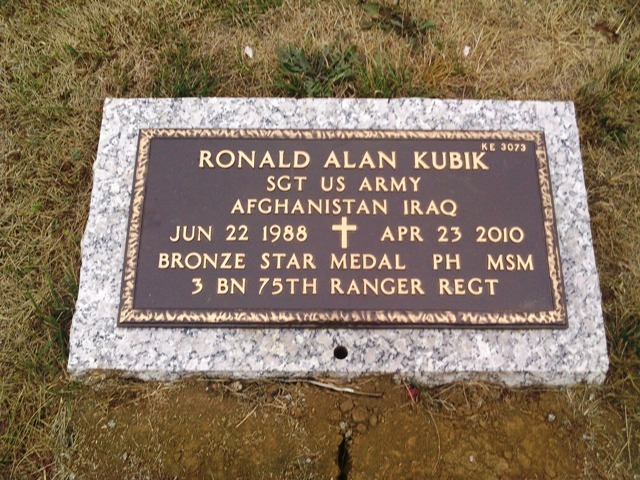 Ronald A Kubik,of Brielle, New Jersey lived most of his life in Manchester before moving to Brielle. He attended Manchester High School and Manasquan High School, where he was a member of the wrestling and football teams before graduating in 2006. He joined the Army in 2007 and became a proud U.S. Army sergeant and ranger. Ronald is survived by his beloved parents, his father, Ronald A. Kubik and his wife Rose of Hazlet; his mother, Eileen Daly of Brielle; his loving sisters, Mary Kubik and her husband Jim of Farmingdale, and Amy L. Kubik of Point Pleasant; his dear step brother, Fred Lonardo of Union Beach; his godfather and uncle, Deacon Alex Kubik. 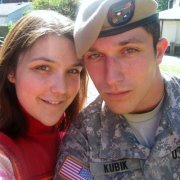 He died April 23 in Logar province, Afghanistan, of wounds sustained while conducting combat operations. He was assigned to the 3rd Battalion, 75th Ranger Regiment, Fort Benning, Ga.
"Dedicated to my brothers, and the other soldiers in 3/75 Ranger BN. May they live on forever. My brother, SGT Ronald Kubik, would want me to honor all his brothers, and because each one gave their all, this year the handcycle is in honor of the heroes of 3/75 Ranger BN: McGhee, Kopp, Jankiewicz, Patton, Kubik, Santora, Comfort, Santiago, Nicol, Rappuhn. RLTW.